2019 Preview: The only thing that could set Ryan Blaney back in 2019 is the car. Ford will debut the Ford Mustang at the Daytona 500 this season. I expect a smoother transition from the Fusion to the Mustang than what we saw with the Chevys last year when they switch to the Camaro ZL1 car. Jeremy Bullins will once again call the shots on top the pit box. Blaney and Bullins work well together so I expect more success for the combination in 2019. This could be a breakout season for Blaney. He has been good in his short career but this could be the year when he takes the next step and competes for a championship. Blaney is one of the best drivers in the sport at starting up front. The new aero-package for the 2019 season makes starting position more important than in the past. He is good at every type of track and Team Penske is one of the best teams at having their drivers work together. 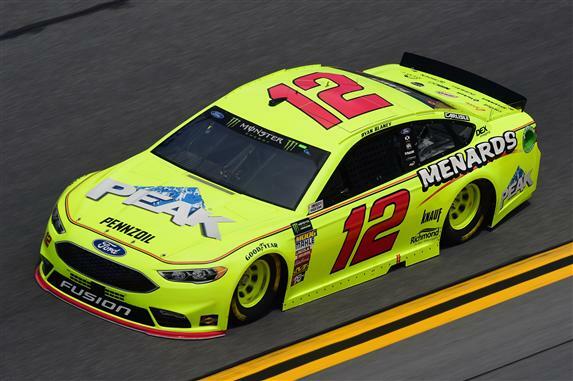 Blaney now has the experience to consistently finish in the top 10. © 2018 Fantasy Racing Tips. All rights reserved. Fantasy Racing Tips is not affiliated with, maintained, endorsed or sponsored by NASCAR®. All photos and statistics are used with permission from NASCAR Media Group.